I love the cover just as how I loved ADiB's cover. And the love for the cover has nothing to do with the review below. Hello, first book review of 2015! 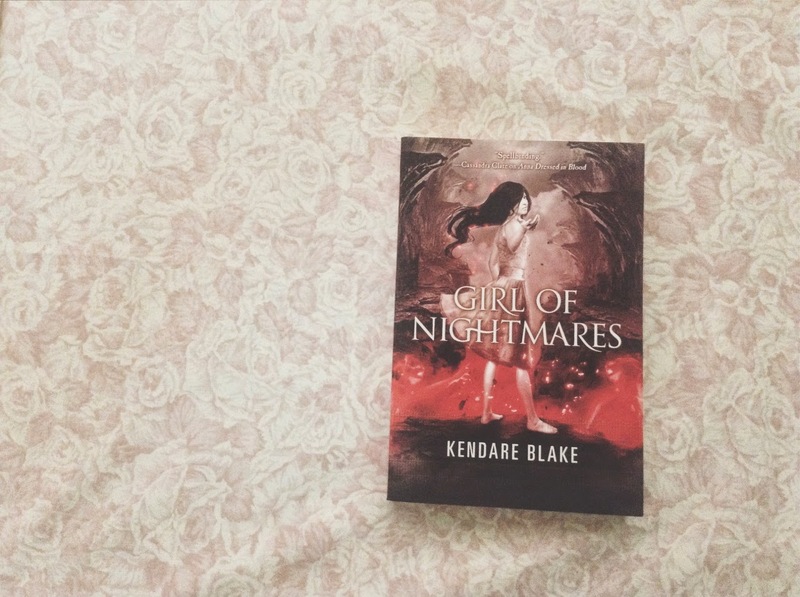 I was looking forward to read something christmassy for the holiday season but I read some halloween-thing again so here you go, the sequel of Anna Dressed in Blood, The Girl of Nightmares. It dawned to me that both of the books in the duology were actually gifts to me. My copy of Anna Dressed in Blood was a gift from my classmate and my aunt gave me Girl of Nightmares with a pretty five hundred peso bill slid in page 100. I expected this book to be a lot better than the first one because it's the sequel. But no, it was a big let down. ADiB held you even if you seriously want to put it down already. This book screamed "you know, it's fine, i can't hold you that way." But I think I should have guessed that already. Afterall, Anna's almost invisible in this book while she made the whole ADiB story progress fantastically. GoN may still be about saving her still, but thanks to the athame's history and Cas's love-revenge- and anger sickness, everything's just got me disappointed. The book is just so Blah. So Blah I can't even begin to describe its blah-ness. The characters all lost their awesomeness and the only thing making me read it is to find out how Anna will find her peace. I mean, it's already obvious that Anna will find peace, or that Cas will be able to save her, we just have to find out how exactly. I didn't exactly pay so much attention to Cas in ADiB because in that, he was just doing his job, and that was to deal with Anna until it led to the other awesome details that made Anna Dressed in Blood extra awesome. but this time, since Cas's movement is now the main thing in Girl of Nightmares, his arrogance is now just a lame attempt to cursing coolly, and being heroic and deeply, passionately inlove. You don't love like that Cas. I couldn't even feel it vibrating through the words in the book. Just. No. The ending of the book took me off. You end it like this? LIKE THIS?! The Order of the Beedak Dub (ok, fine, Biodag Dubh) comes in the picture just to help Cas get into hell then leaves. This whole thing became A Guide to Understanding the Athame. 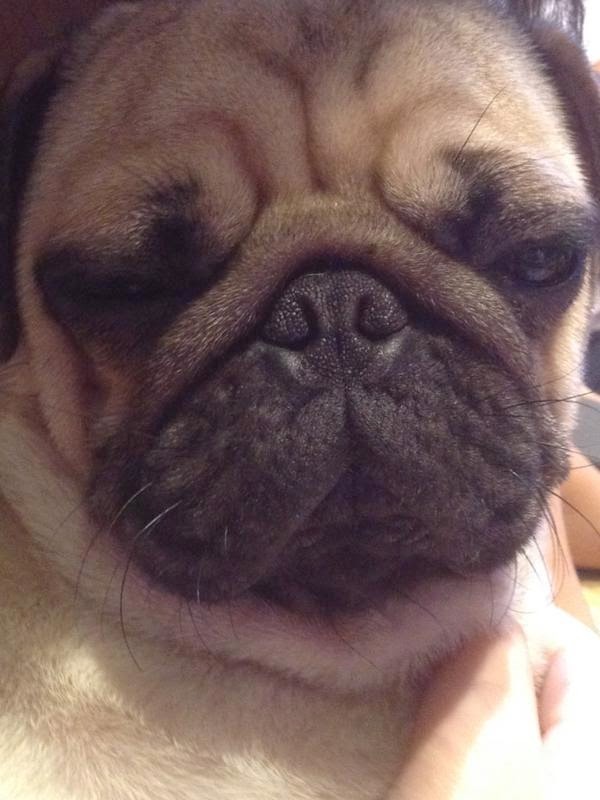 Even Smile the Pug is not pleased. Even so I spoke of this second and last book of the Anna series with so much boredom, I must say that after tolerating everything that is about Cas, I liked how Anna was sent to the light. I like the peace Cas sent her in. That's an ideal peace. That is exactly why I quoted that part over there. The only way you would read this book is if you want to know what actually happens to Anna after Anna Dressed in Blood takes place, because trust me, after that book, you'll want more. But I am already warning you-- this book's teeth are nearly not as sharp as ADiB's. That's all, use whatever you learned from this review wisely.